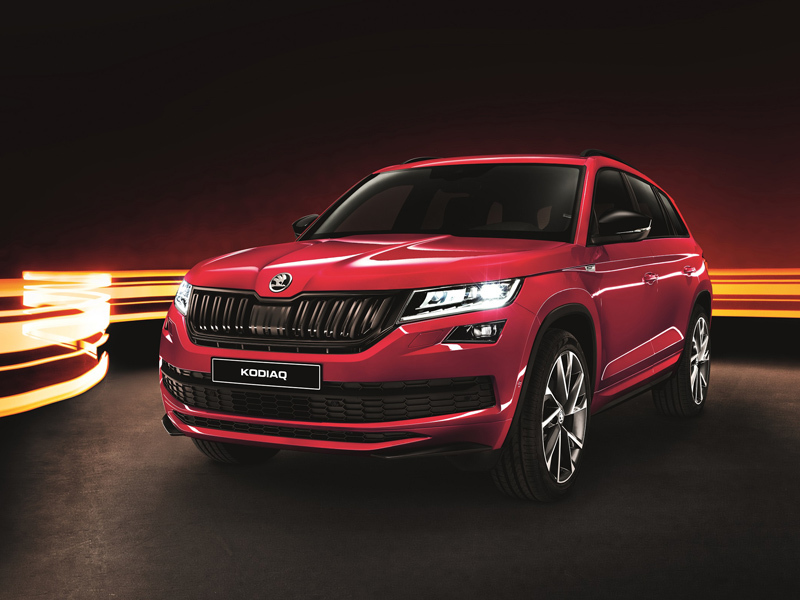 Based on the SE-L version, the model sits under the luxury Edition version to provide a more sporty-orientated version – although rumours continue to mount that a full-blown vRS Kodiaq, with Skoda saying any announcement would be made at Geneva. 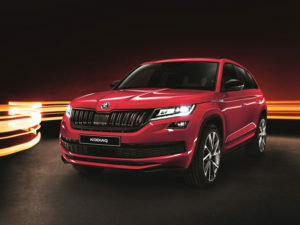 Available to order now, the Kodiaq Sportline features 20-inch alloy wheels, more pronounced front and rear sport bumpers and black exterior detailing while the interior gains a leather sports steering wheel, carbon-effect dashboard and door inserts, along with Alcantara-trimmed sports bucket seats and door panels, an LED interior lighting pack an SportLine features. Four engine options are offered – the 148bhp 1.4 TSI petrol and 177bhp 2.0 TSI and the 2.0 TDI with 147bhp or 187bhp. All come with four-wheel drive as standard along with a standard DSG gearbox on the 2.0 TSI and 187bhp 2.0 TDI – both the 1.4 TSI and 147bhp 2.0 TDI are available with the choice of manual or DSG. Equipment brings the Columbus infotainment system with 9.2-inch touchscreen display and integrated Wi-Fi, electrically operated boot and Drive mode select. Exclusive kit includes a colour multifunction trip computer, front parking sensors and an electrically adjustable driver’s seat. Prices start from £32,685 with first deliveries expected in February 2018.